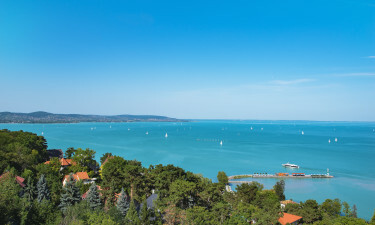 Lake Balaton is the largest lake in Hungary and is celebrated for its enchanting natural beauty - the perfect spot for a luxury camping holiday experience. This is a major holiday spot with nature lovers and a large number of luxury campsites can be found nestled on the banks of the lake. People who book a mobile home here will be able to spend their days messing about on the water and exploring the traditional towns and villages that can be found close to the water. 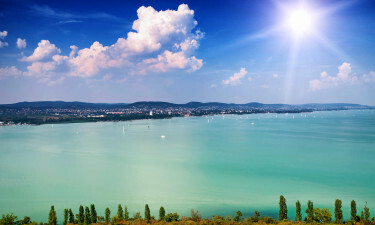 Why Should Visitors Arrange a Camping Holiday in Balaton Lake? People who book a mobile home at one of the region’s luxury camping sites will be treated to enchanting lakeside views and majestic mountain backdrops. 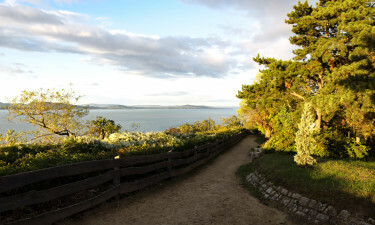 While water sports such as fishing and canoeing are popular here, the area is also idea for those who want to spend their days getting back to nature by following the hiking trails that wind their way around the lake. Set in the Balatonfüred region of Hungary, this stunning campsite boasts an excellent range of amenities that luxury camping fans are sure to enjoy. The onsite restaurant is set overlooking the river and is the perfect place to sample fresh fish dishes and locally produced beer. In addition to providing a scenic spot right on the edge of the lake, this luxurious camp offers visitors the chance to take part in a wide range of activities. The children’s club provides plenty for the kids to do while their parents unwind in style. This family run luxury camping site boasts an excellent thermal spa where guests can unwind in style. the range of services and amenities available here are impressive and are designed to ensure that guests have everything they need to enjoy the camping holiday of a lifetime. A long stretch of sandy beach graces the shore of Lake Balaton and this is the perfect place to soak up the sun. people who are interested in water sports will be able to try their hand at canoeing and windsurfing here, while there are also some excellent fishing spots. The main attraction here is the lake itself and visitors will want to spend plenty of time soaking up the sun on the sandy shore and taking part in aquatic activities. 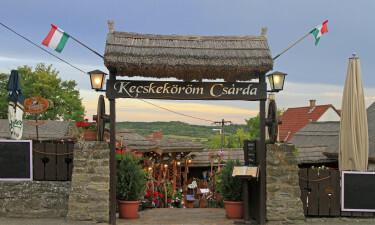 The areas is also famous for its thermal spas, while a number of vineyards are waiting to be explored in the area. Dishes created with fresh fish caught in the lake are particularly popular here and some of the species that diners can try include a type of perch called fogas that is roasted whole. Paprika fish is a traditional Hungarian dish that really packs a punch, while Egri Bikavér wine is the idea tipple to go with this treat. Get a hold of LUX Camp to book your camping holiday of a lifetime.